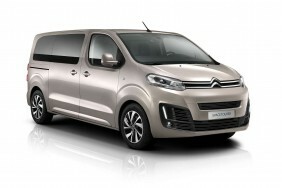 Great Citroen Spacetourer car Leasing & Contract Hire Deals. 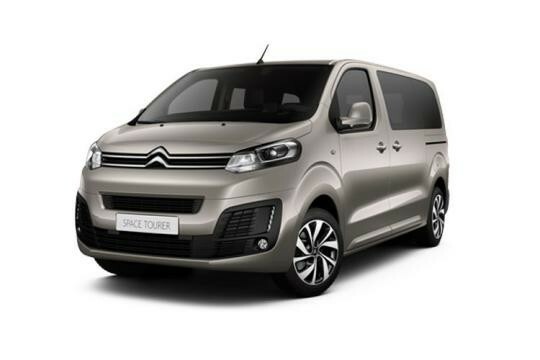 Our Citroen Spacetourer Lease Deals. It's time the super-large MPV segment was shaken up a bit. For too long, it's been dominated by the Volkswagen Caravelle and the Mercedes V-Class, both models that sell at rather over-inflated prices. The only more affordable alternatives in the past have been relatively unappealing - models like Hyundai's i800 and Ford's Transit-based Tourneo Custom. In comparison, this Citroen SpaceTourer looks a far better proposition. It's much cheaper than a Caravelle or a V-Class, easier to drive because it feels more compact on the road, yet just as spacious inside, with room for up to nine. The only real impediment to success might lie in the fact that you can get much the same recipe in this segment from the Peugeot Traveller and Toyota Proace Verso models that share this Citroen's basic design. Still, if you get the right deal on a SpaceTourer and you've a Citroen dealer in close proximity, we think you'll like it. Think in terms of a £30,000-£35,000 price point for plusher versions of this Citroen SpaceTourer, once you've chosen the spec to your liking and you shouldn't be far out. The basics of specification are worth repeating here, so there's a choice of three vehicle lengths - 4.60m 'S', 4.95m 'M' and 5.30m 'XL' - all of which can be configured as 5-to 9-seaters. Inside, all models get a 7"" infotainment touch-screen. This setup's voice recognition provides additional security for using the Navigation, Telephone and Media features without taking eyes off the road. SpaceTourer buyers can also specify sophisticated 'Connect Nav' 3D navigation as part of a package that includes TomTom Traffic real-time traffic information and access to information like the location and prices of service stations and car parks, weather forecasts and local search of points of interest. There's also a MirrorScreen function so that you can use functions from your smartphone on the centre dash 7-inch screen. Latest generation electronic driving assistance devices include 'Driver Attention Alert', a 'Road sign recognition' system, a Head-up display and an 'Active Cruise Control' set-up. You could also add 'Blind Spot Monitoring' and a 'Park Assist 180' surround view camera system - both useful on a vehicle of this size. Not The Car For You? Let our friendly experts help you find the perfect car by contacting us today.